Bandung, capital of West Java Province, made world history sixty three years ago when leaders from 29 Asian and African countries, most of whom had just gained independence from centuries of colonial rule, gathered and join hands in the First Asian African Conference (AAC). They were determined to create their own path to the future. In commemoration of this very significant moment in international history, the Asia Africa Week will again reverberate the spirit of unity among Asian-African nations on April 23rd to 29th, 2018 in Bandung. This year's commemoration of the AAC will be held for a full week of exciting festivities. There will be five main events in Asia Africa Week 2018, namely: Asian African Carnival, Youth Conference, Unity Run, Cultural & Tourism Expo, and Photo & Short Movie Competition. As in previous years, The Asian African Carnival is the main highlight of the commemoration. The carnival will take place on Saturday, 28th April 2018 at Asia Africa street, the exact street where leaders and delegations of the two continents made the historical walk to Merdeka Building (Now the Asian African Conference Museum). The carnival will feature various art and cultural attractions from country members of the conference. 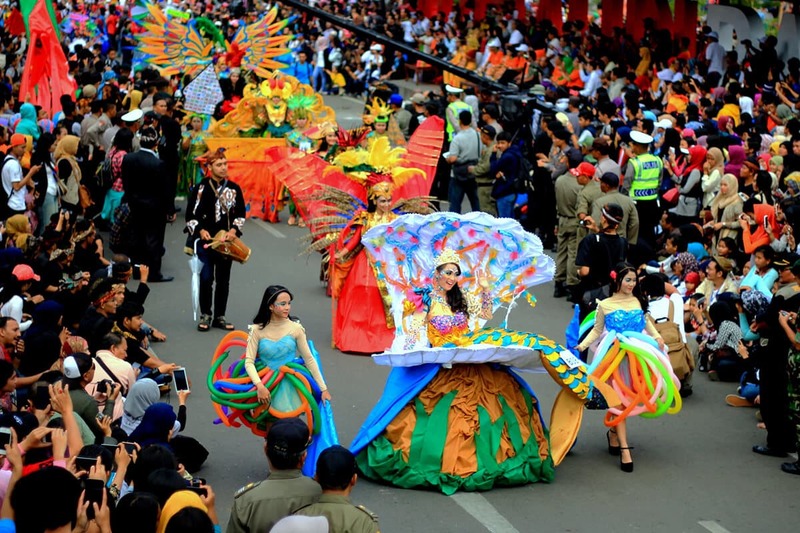 Adding to the festivity, there will also be representatives from all the cities and regencies across Indonesia, as well as international sister cities of Bandung. As a special feature this year, there will be two main stages for the carnival. The first is on Braga Street (on the left side of Asian African Museum), and the second one is on Soekarno Street (on the right side of Asian African Museum). Youths from both continents held the first Asian African Students Conference on May 30th to June 7th, 1956 which addressed vital issues in Asian African countries. This year, the Youth Conference will be held from April 25th to 26th, 2018 at the El Royal Hotel Bandung. The Unity Run will turn the major streets of Bandung into a massive running track showcasing the spirit of brotherhood and unity among Asian-African nations. This year's running event, themed "Respect for Diversity" will be held on Sunday, April 29th, 2018 with the start and finish line on Asia Africa Street. Asia Africa Week 2018 will also be highlighted with Cultural & Tourism Expo introducing AAC's member countries with all their beautiful tourism attractions, culinary world, and cultural diversity. The expo is scheduled to take place on Friday to Sunday, April 27th to 29th, 2018 on Soekarno Street, while the Culinary Expo will be held on Braga Street. Asia Africa Week 2018 also gives filmmakers and photographers the opportunity to take part in the Photo & Short Movie Competition. The competition is intended to revive the spirit of respect for cultural and social diversity which is the main soul of AAC. This competition is open for public and divided into three categories: Photo Competition, Short Movie Competition, and Instagram Photo Competition. Submission is open from March 1st to April 15th, 2018.